Well, the lurgy has struck the Lily Pad and it’s a ‘Froggy down’ situation but I think I have enough energy to put this together for Blog Post Thursday. Forgive me if it doesn’t make a whole lot of sense, I didn’t get much sleep last night. One question I’m often asked is, why did I choose the name Frog & Pencil? Well, it’s from a loving nickname my hubby gave me. Apparently, from a certain angle, I look like a Frog. Having created a Frog and a Bear character for our wedding, it naturally progressed to Frog & Pencil for my business. I love the name, it’s certainly memorable but I don’t quite see the Froggy resemblance. I have dual nationality and was born across the pond in Austin, Texas; I’m officially a cowgirl…best get me some boots and a Stetson! I love what I do but if I wasn’t an illustrator, I think I’d want to be a florist. I have found a new love of flowers after being in this industry and I’m in awe at how creative people can be with blooms. Their workshops also smell incredible…not sure how I’d deal with the cold though…I’d have to find a fab hat! My Mum kept the most amazing gardens, so I’m hoping I’ve inherited some of those green fingered genes for my own little plot. I adore Children’s books. When I’m in a bookstore I always make a pit stop at the kids section and you’ll most likely find me giggling away and drooling over the beautiful and playful illustrations. My hero was Roald Dahl and I remember how deliciously lost I found myself within his words and Quentin Blake’s drawings. A dream of mine is to illustrate my own Children’s book one day and to create something that fires off kids imaginations. At some point, during all my commissions and illustrations, there will be a moment where I utterly hate what I’ve made and I think it’s a pile of poop. I’ve learnt to try to not give in to those feelings and to simply carry on. The magic happens right at the very end when the last brush mark has been made, it just requires a dash of patience and a lot of belief. I have a phone phobia! I’m fine when it’s friends and family but if my phone rings I get super anxious and tense. And making a call, well that’s the worst! I have to psyche myself up and make sure I have everything ready. For example, sorting out the car insurance. I have to sit in the quiet, have a glass of water and a pad and pen ready. I’ll write down my own details, address, phone number, etc, just incase I blank when they ask for them. I even write down reference numbers even though they’re right there on the letter…they have a funny way of hiding when prompted. Holy moly I just hate it and I feel so relieved when it’s over! Silly right!?! Anyone else feel this way about phones? If so, any tips on how to manage those feelings would be greatly appreciated. How I survived in a call centre, on the phone selling mortgages for 3 years, I don’t know, I already feel a cold sweat coming on just thinking about it! I ADORE earrings and hats. They make me so happy. I’m a big fan of cheese but it makes my face tingle…I could be allergic but the stuff is too damn tasty. Nom! A lovely friend recently asked what inspires my work. Some of the biggies would include, nature and the awesome colour play you can see right outside your window. Couples stories inspire my work, if they have a cute anecdote that can be captured I like to include it. Instagram is a big inspiration, the creative community on there is incredible and spurs me on to make good work too. Lastly, the local wedding supplier community fuels my passion. There are so many talented people in this industry, photographers, stylists, cake makers, designers and florists to name a few and they’re always pushing the boundaries. Their way of thinking encourages me to step out of my comfort zone. I’m honoured that I can call a lot of these guys my friends. There you have it, some Froggy insight which I hope you enjoyed and could also relate to. The Bear and I will be having a two week break as of this coming Monday, so look out for a new post when I return, there’s always plenty to share. In the meantime, I’m off to battle this lurg! Another Thursday has rolled around which means another Froggy post (not gonna lie, pretty proud that I’ve stuck to my ‘every other Thursday’ schedule so far!). Today I want to chat about those personal touches I bang on about when it comes to wedding stationery. When I speak to couples about what they’d like their design to feature, I always try to eek out something special and unique to them as a couple. Everyone has their ‘thing’, be it little quirks, a beloved pet or cute stories that could be expressed through their invitations. Quite often, my couples aren’t too sure, so we work with details that will match the wedding day such as colours and flowers, and that’s brilliant. However, I do adore it when a Bride & Groom want to inject more of a narrative about their journey into the designs and a fantastic example of this comes from Nicky & James. We’d love you there as we tie the knot! It became a much simpler way to tell their tale compared to the map but I feel it’s a much sweeter way to express it. I have a coffee date with Nicky (and their gorgeous new addition) in a few weeks to discuss the next phase of their stationery and I can’t wait to see what we create! I’m positive that it will continue to feature more lovely little personal touches about her and James’ life together. This was a blast to make; enjoy a few snaps of Nicky & James’ Save Our Date with that cutie, Sammy the Seagull. So, as you can see, when it comes to the stationery for your big day, you can do anything you want and this is just one way of making it more personal. If you’re looking for wedding stationery that’s bespoke and a little out of the ordinary, then get in touch. I’d love to chat about your adventure so far, the wedding plans and we can discuss how I can help create designs that reveal your story with those personal touches. 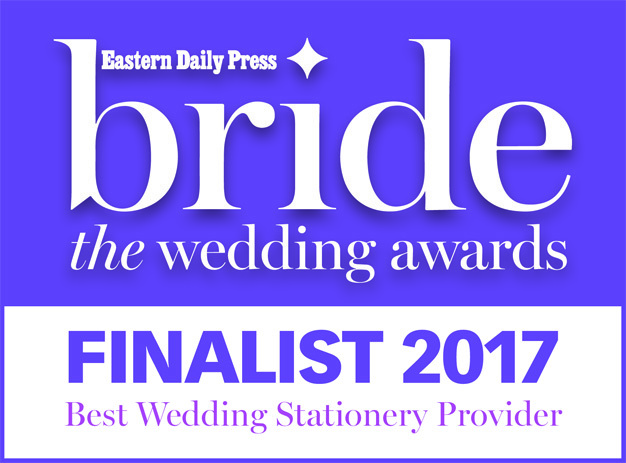 Lovely Katherine & Peter spotted that I’d been a finalist at the EDP Wedding Awards and contacted me asking about my stationery for their upcoming wedding. After a good chat over e-mail they invited me to their home to see some examples and discuss ideas further…I even met their cat Watson. They decided on a portrait for their main illustration and as they’re tying the knot in October, they wanted the designs to have an autumnal vibe with warm and rich jewel tones. Katherine shared a Pinterest link with me which was super helpful; it was full of inspiration and from here I was able to pick out certain tones and flowers to recreate. To go with their wedding invitation, they wanted to include a details page which outlined all the ‘extra bits’ guests would need to know and a page for their tasty menu. One other key detail P&K asked for was to include Watson, chasing a mouse somewhere on the stationery. I love the final pieces, there’s such a gorgeous cohesion and flow between them. They’re clean, fresh and I am really enjoying the main invite layout with the text detail. Overall, I’m very happy and I think those colours are just luscious. I’m delighted to report that Peter & Katherine were pleased too and they left me this lovely review on my Facebook Page; reviews like this make everything worth it. Ok, less of me nattering, how about some visual goodies? Here’s Peter & Katherine’s Wedding Stationery, enjoy! I had a great time creating these designs and I wish Katherine and Peter all the best with the rest of their wedding plans. Here’s to a fabulous wedding day come October and a very happy future as a married couple. If these bespoke designs have caught your eye and you’re in the market for some personal wedding stationery, then get in touch via hello@frogandpencil.com, I’d love to hear from you and chat weddings! Wowzers, this January is flying by; a happy new year to you all and I hope your 2017 has started brilliantly. New year also means that many of you lovelies might be sporting a sparkly new rock, a huge congratulations to all you recently engaged couples. It’s an exciting moment when you start the wedding planning and for a lot of you it’s time to assemble your Bride Tribe! If you’re thinking of a fun way to ask your favourite gal pals to be a part of your special day, why not ask them with a quirky Frog & Pencil postcard; it’ll be something your girls will always cherish. With three whimsical designs to choose from, the postcards are £2.50 each and come with envelopes. For all enquiries and orders drop me an email at hello@frogandpencil.com. These postcards will soon include ‘Will You Be My Maid Of Honour?’. ©Frog & Pencil: Bride-Zilla Taming Bridesmaid Postcard. ©Frog & Pencil: Will You Be My Bridesmaid? postcard. Keep your eyes peeled for new Bridal Party stock which will include postcards for your Groomsmen, Best Man, Witness’ and one for that special person (or people) walking you down the aisle. The Frog & Pencil Website is being updated with new images and content, so be sure to follow me on Facebook, Twitter & Instagram for the latest Frog & Pencil products/shenanigans. 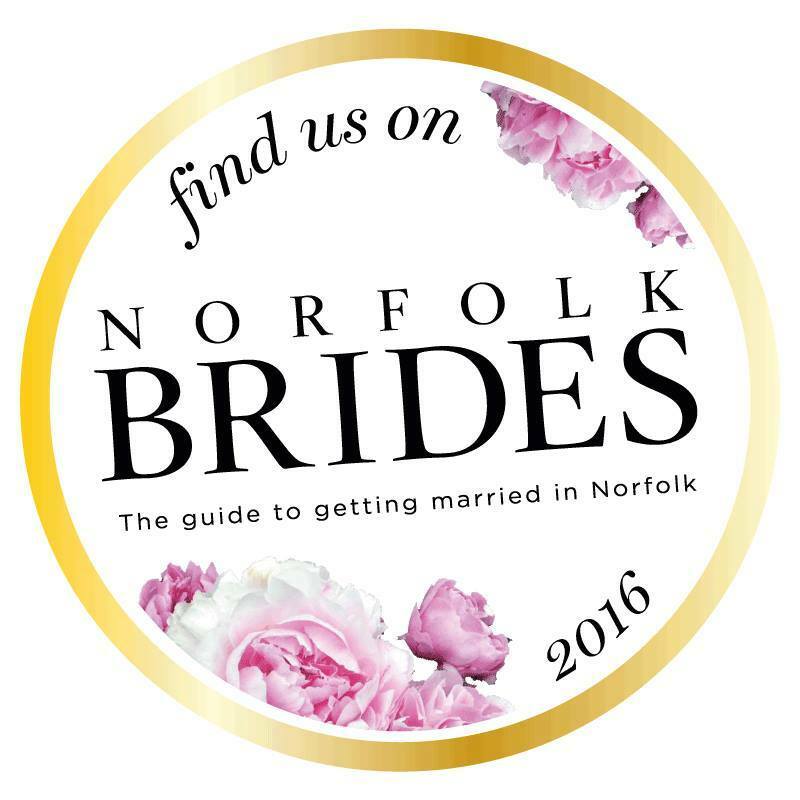 Excited to hear from you new Brides-to-be and have the BEST time assembling your beautiful Bride Tribe!